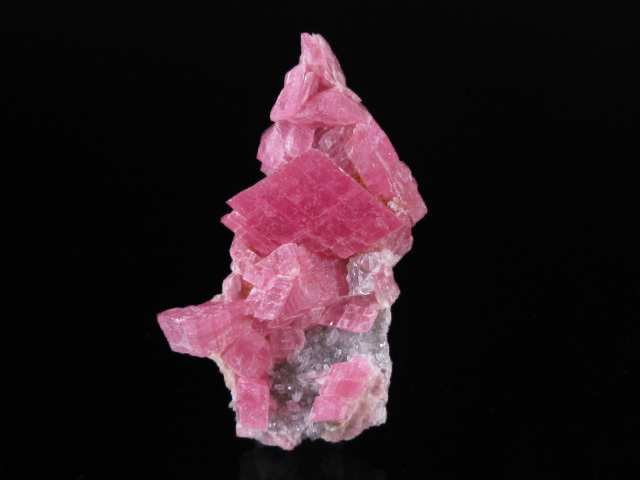 The Khyber Mineral Company- Mineral Specimens for Sale, Rhodochrosite, Benitoite, Pyromorphite, Bolivian Minerals, Afghanite and More! 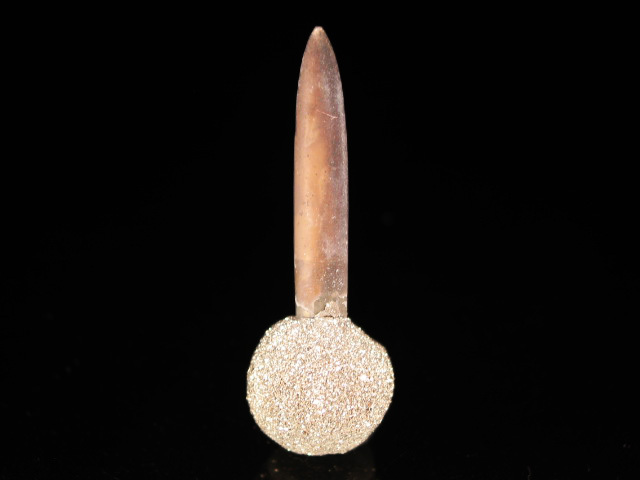 There are currently 5578 searchable specimens listed. Use the Pull down or enter your own text. 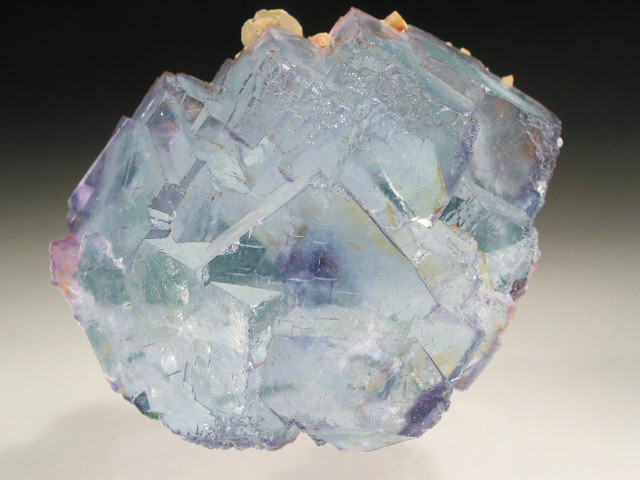 February 22, 2019- Tucson Part 2 More minerals from Tucson, in particular new fluorites from Madagascar and assorted prehnite form around the world. 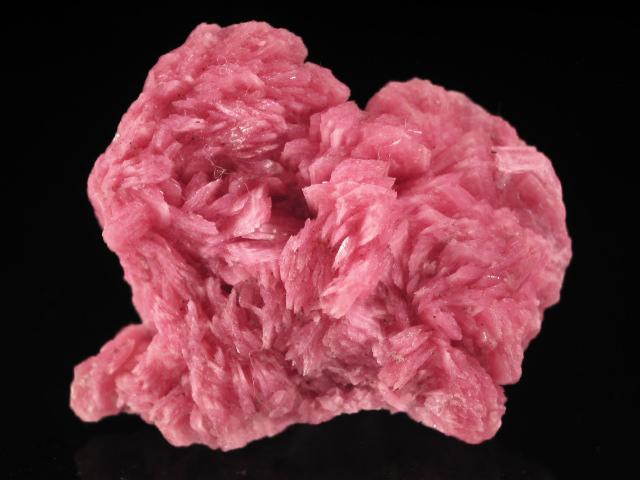 February 22, 2019- Clearance Minerals! 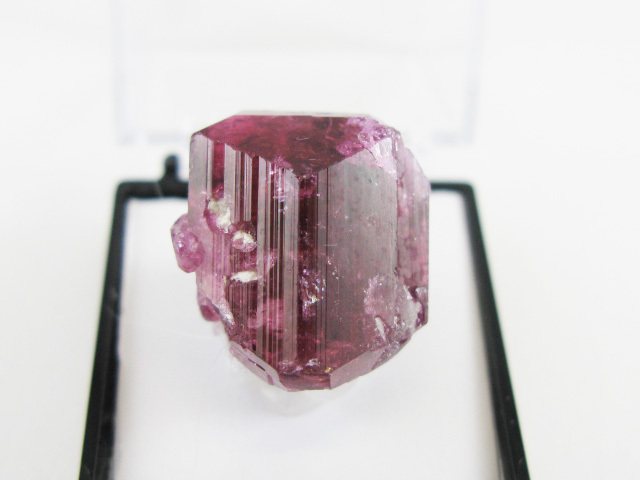 A selection of over 50 clearance minerals from around the world. New items have CZC stock numbers. 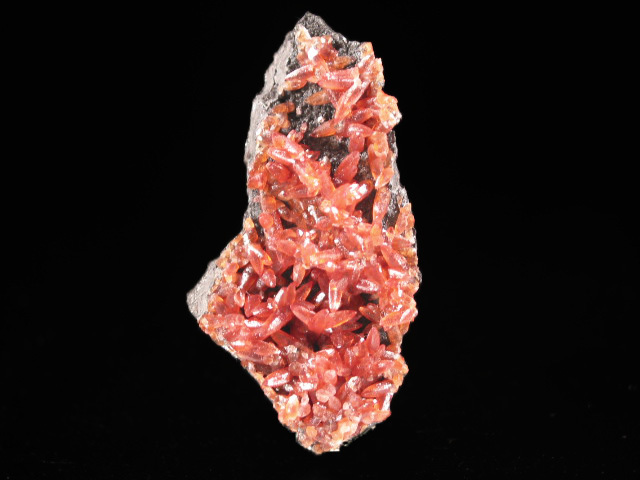 February 9, 2019- Tucson 2019 A selection of minerals from Tucson. Update 1 of 2. 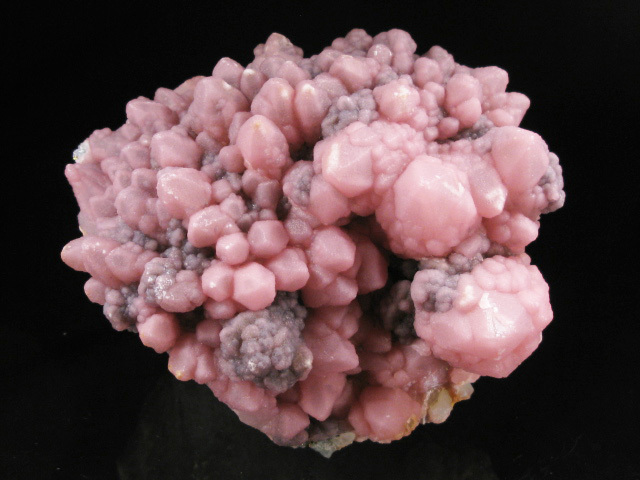 January 27, 2019- Clearance Minerals! 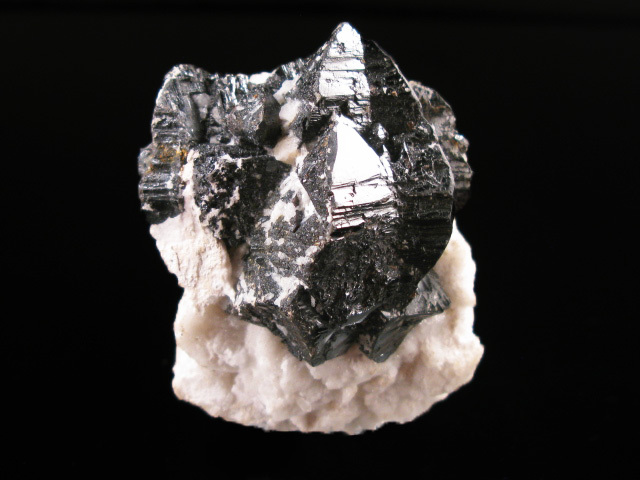 A selection of nearly 50 clearance minerals from around the world. New items have CCC stock numbers. 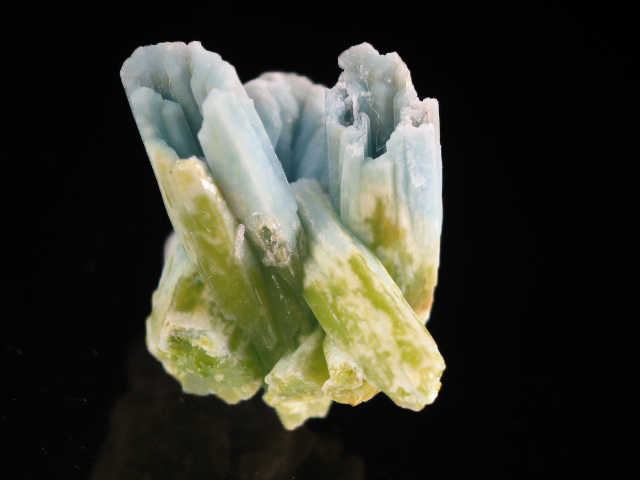 December 17, 2018- Mixed Chinese Minerals! 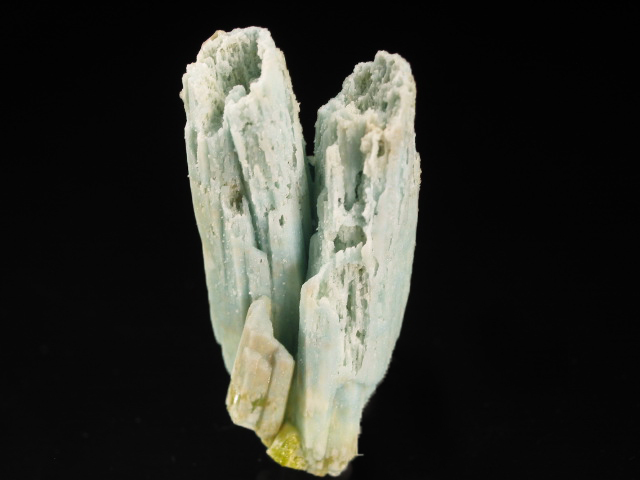 A page of over 60 minerals from China, with about 2/3 under $200. November 21, 2018- China! 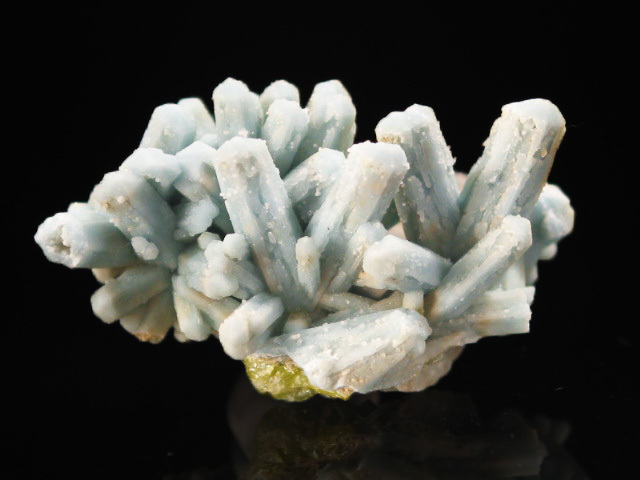 A selection of mineral from China, including a couple very interesting new finds. 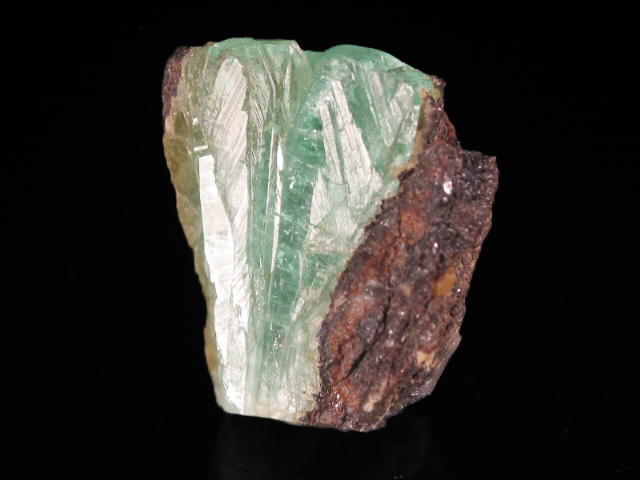 October 5, 2018- Mixed Minerals! 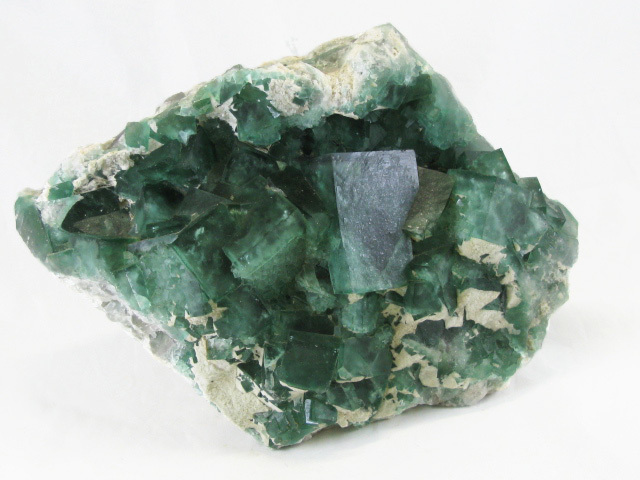 A smaller update featuring a selection of mixed minerals from around the world, including some very odd Pak/Afghan pieces from discoveries around 20 years ago. 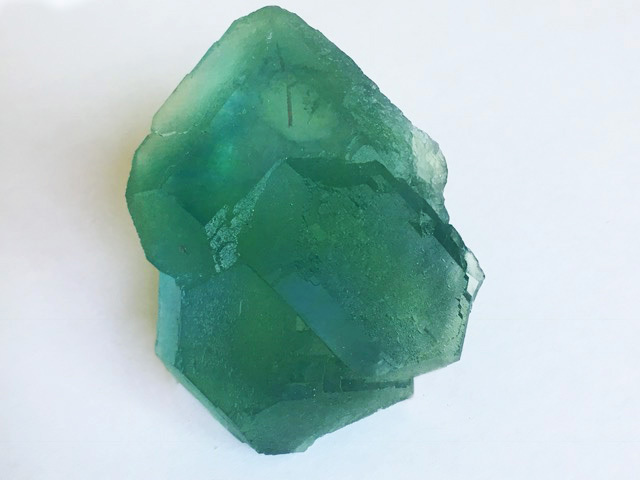 October 5, 2018- Xianyang, Yongchun Co., Fujian Fluorite! 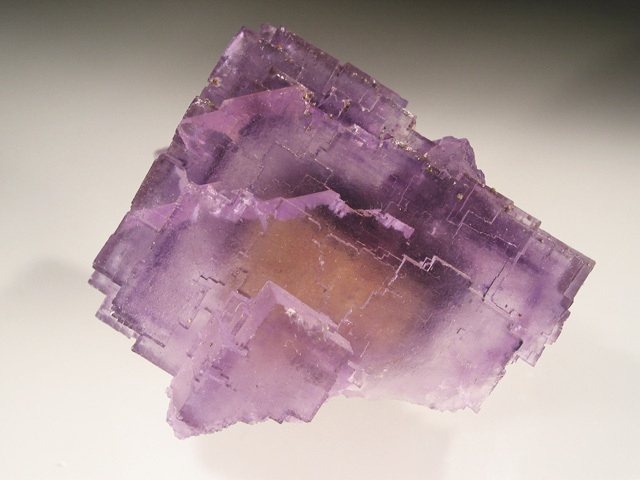 A selection of fluorite specimens from a recent find at the Xiayang Mine (the same locality notable for the purple "tanzanite-colored" fluorites.) These are a somewhat saturated green, and the best have an intense glow caused by cyan blue, yellow, and green zoning, combing to form a color I haven't really seen from anywhere else. 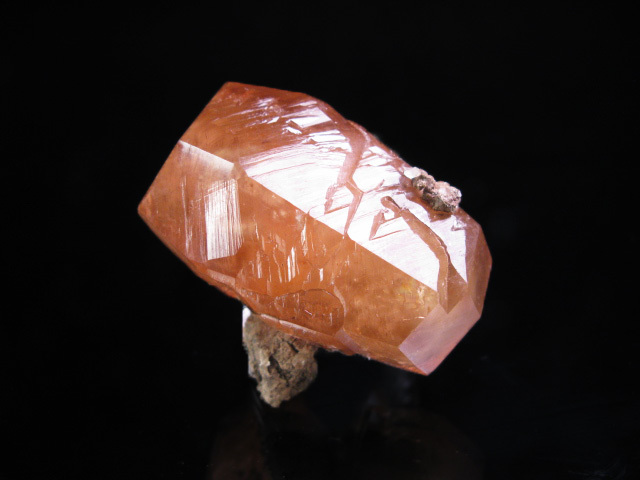 October 5, 2018- Clearance Minerals! 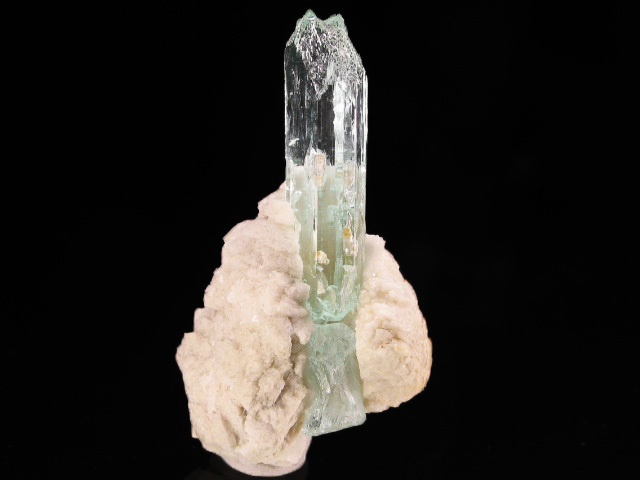 A set of over 50 minerals has been added to the clearance pages; new items have CNN stock numbers. September 4, 2018- China! 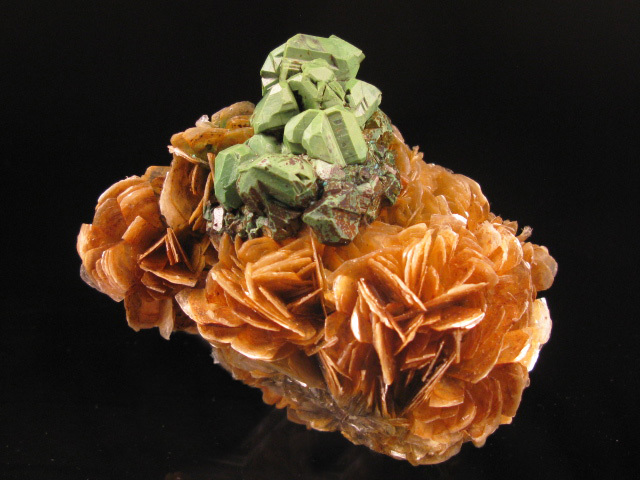 A selection of 60 specimens from various recent Chinese finds-- fluorites, pieces from a new pyromorphite pocket, as well as a couple novel oddities- celestite, Yaogangxian rhodochrosite,boulangerite included calcite, among others. 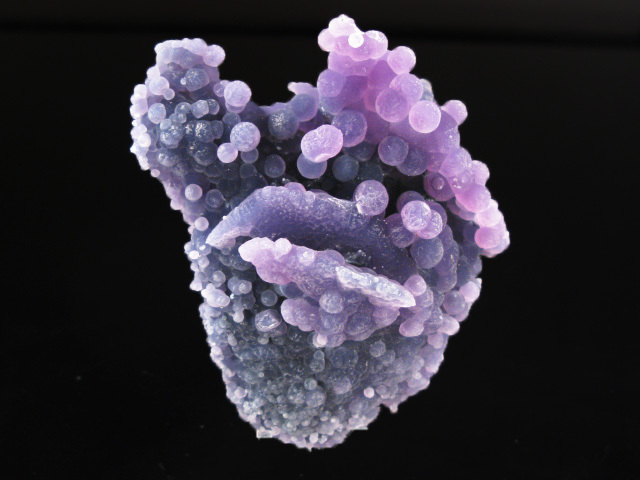 August 27, 2018- Grape Agates! A selection of grape agates from recent finds in Indonesia. July 8, 2018- Mixed Minerals! 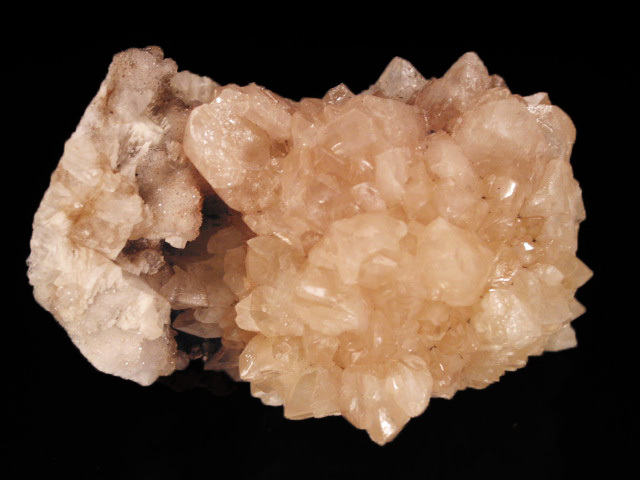 A set of mixed minerals from around the world, including a couple rare henmilites, an excellent volborthite, and large decorator quartz crystals, among others. July 8, 2018- Clearance Minerals! 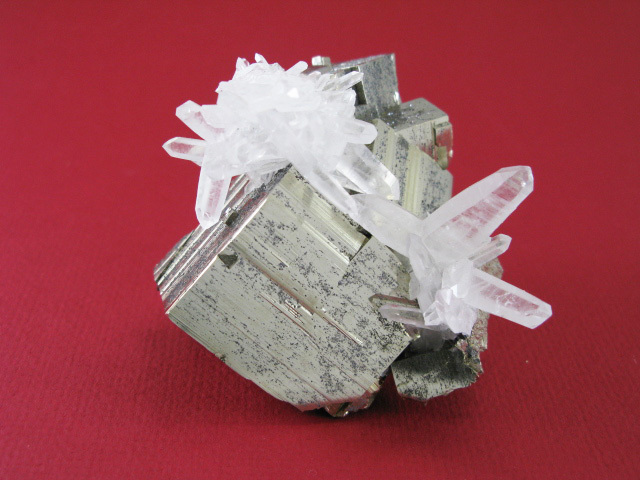 A set of nearly 60 minerals has been added to the clearance pages; new items have CKK stock numbers. 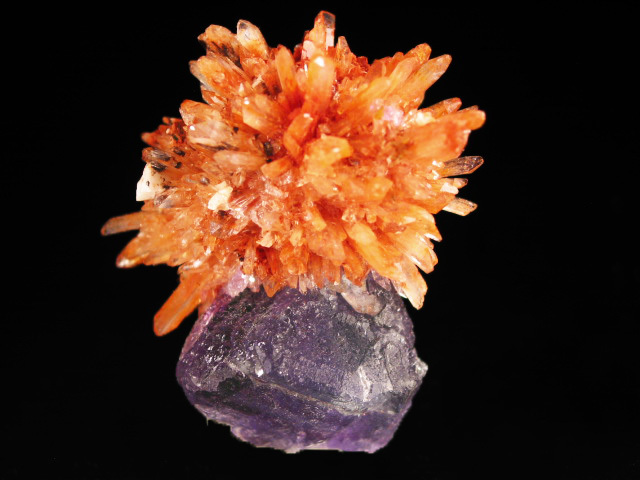 May 27, 2018- Mixed Minerals! 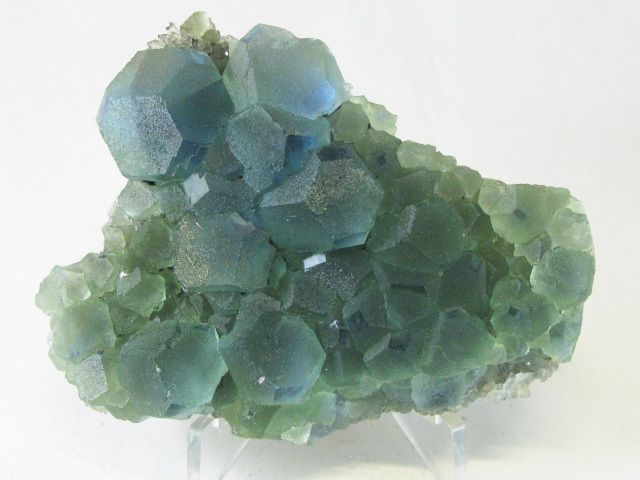 A selection of mixed minerals from around the world. 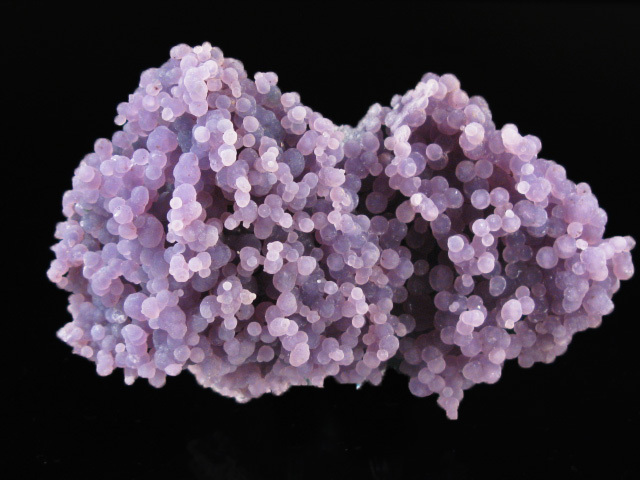 About 2/3 of the update are very good quality grape agates from recent finds in Indonesia. 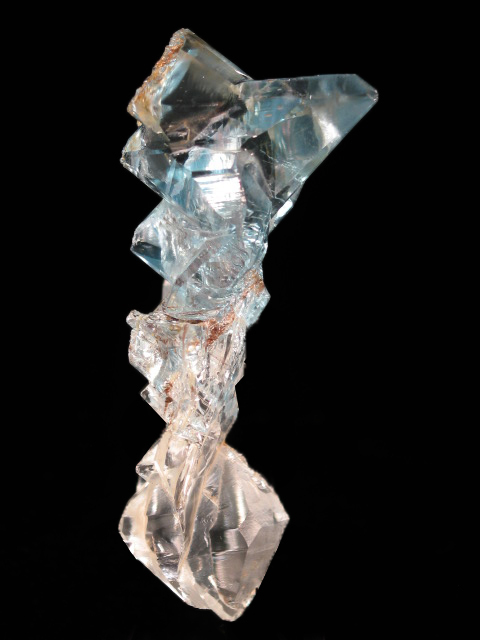 Also of note is a spectacular kesterite specimen. 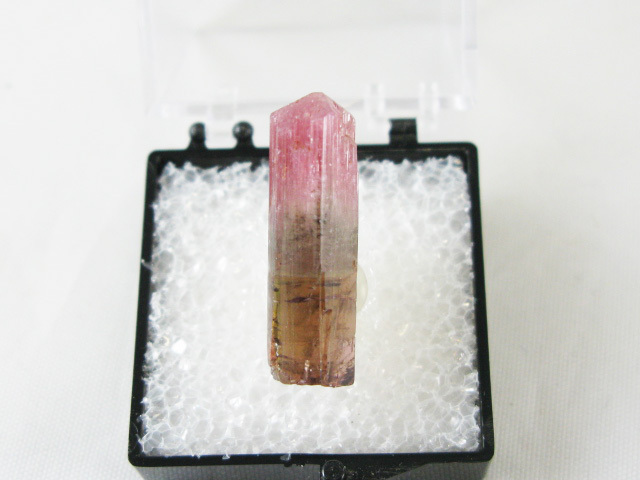 May 14, 2018- Malagasy Liddicoatite Tourmaline TN's A selection of liddicoatite thumbnails from new finds at Anjanabonoina and Mt. Ibity. 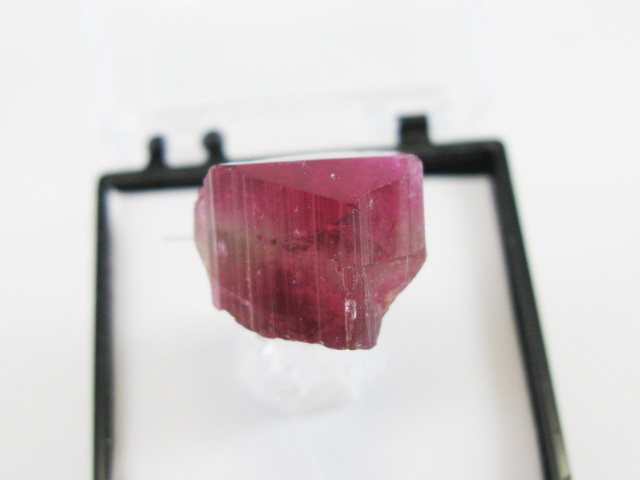 May 14, 2018- Madagascar under $100 A selection of minerals from Madagascar, all but about 3 priced under $100. 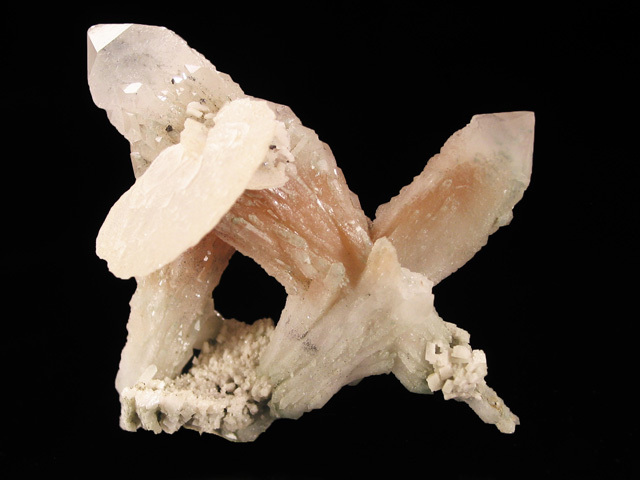 May 14, 2018- Mahaiza Quartz A selection of unusual quartz specimens from the workings around Mahaiza Village in Madagascar. 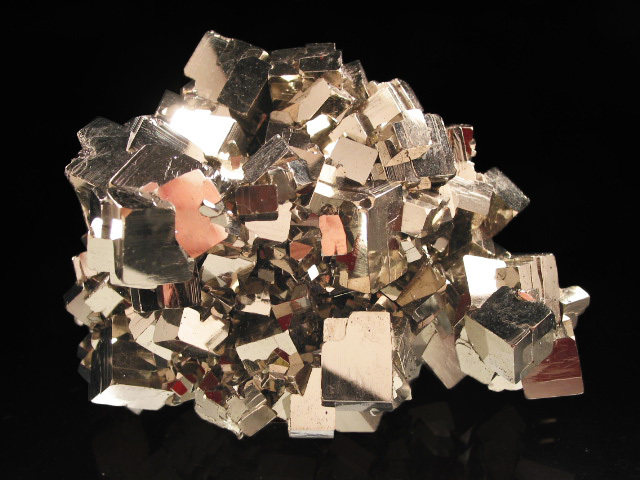 March 20, 2018- Mixed Minerals! 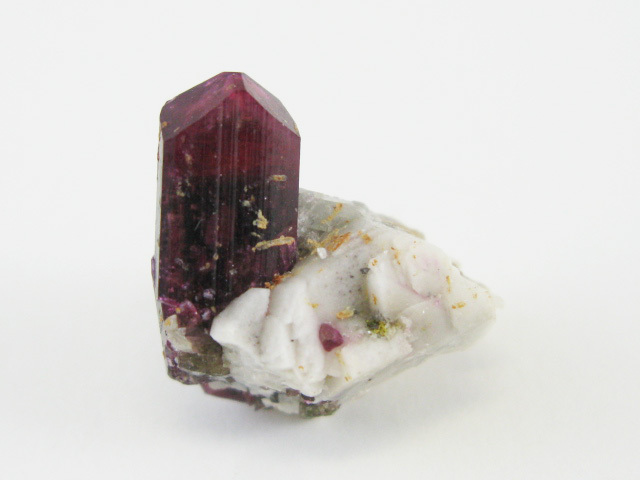 A set of mixed minerals from around the world, including new finds and older material. 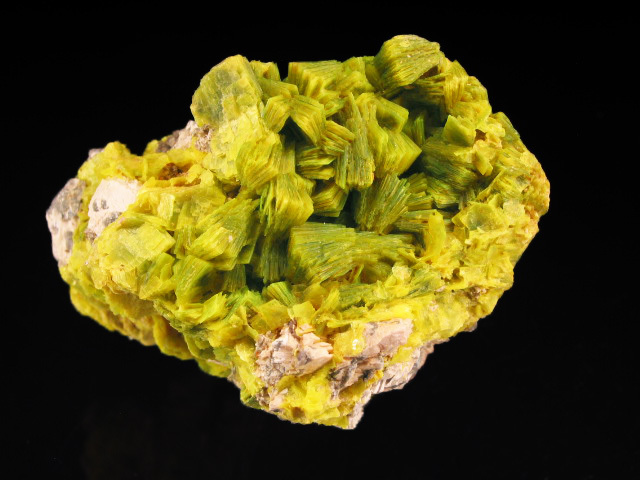 March 20, 2018- Clearance Minerals! 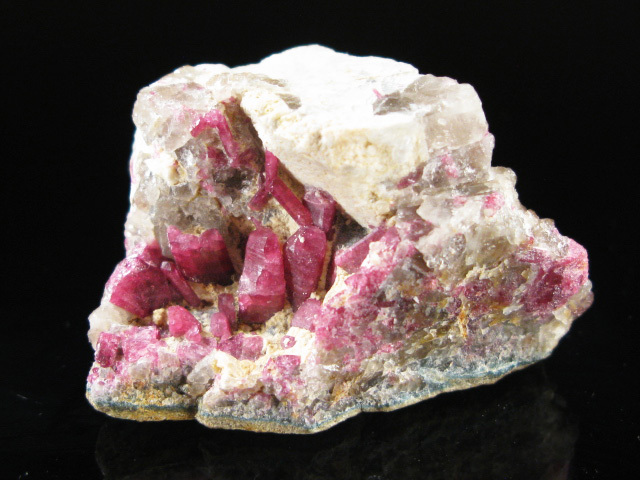 A set of nearly 60 minerals has been added to the clearance pages; new items have CCH stock numbers. January 22, 2018- Madagascar! A selection of 70 of my favorite pieces from a trip to Madagascar at the end of last year, including great grandidierite, some interesting fluorites, malacons, and a variety of other specimens. November 7, 2017- Thumbnails! 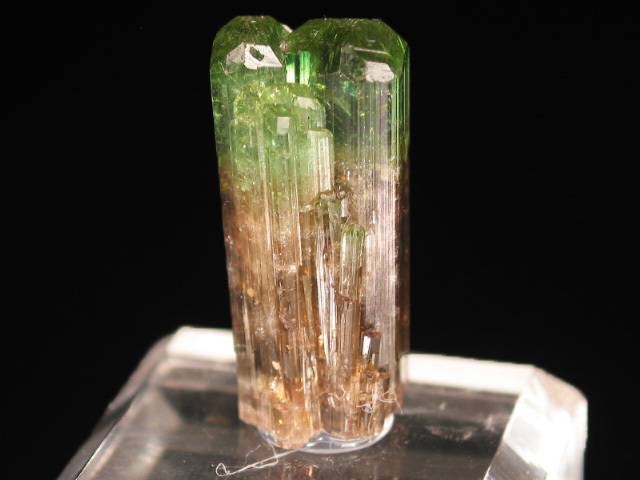 A group of 50 thumbnails, the first portion being slightly more unusual species or localities, and the rest a variety of liddicoatite tourmaline habits form Madagascar. 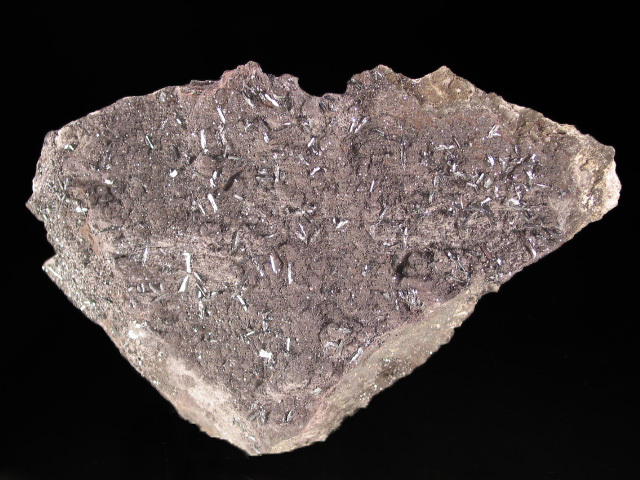 October 17, 2017- Mixed Minerals! 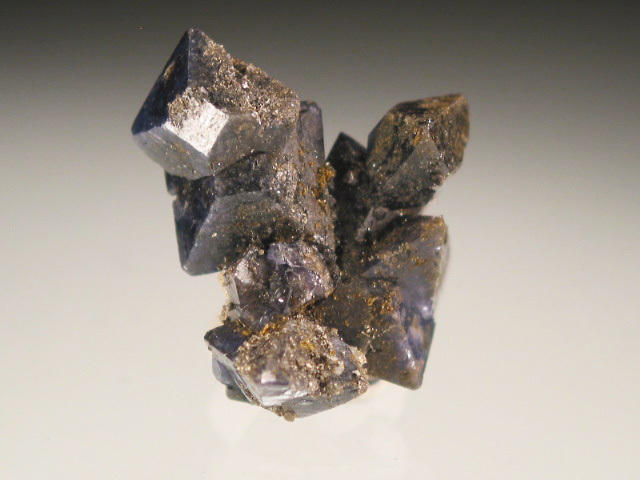 A set of nearly 30 mixed minerals from around the world. 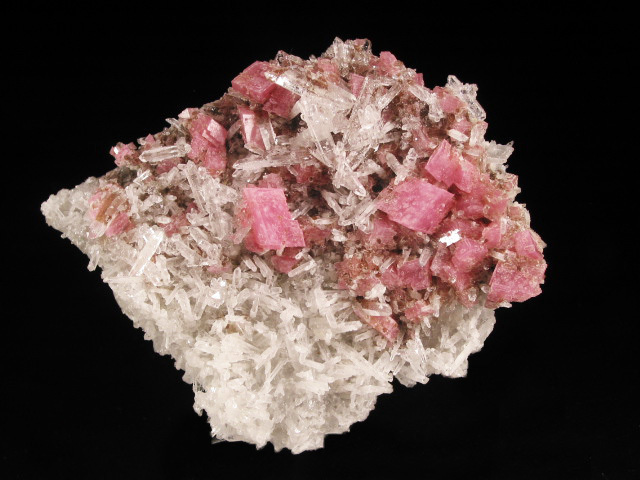 October 17, 2017- Clearance Minerals! 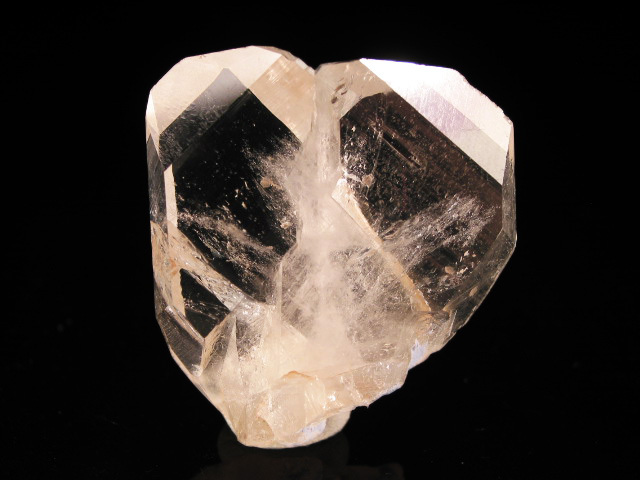 A set of nearly 80 minerals has been added to the clearance pages; new items have CDD stock numbers. August 14, 2017- Mixed Minerals! 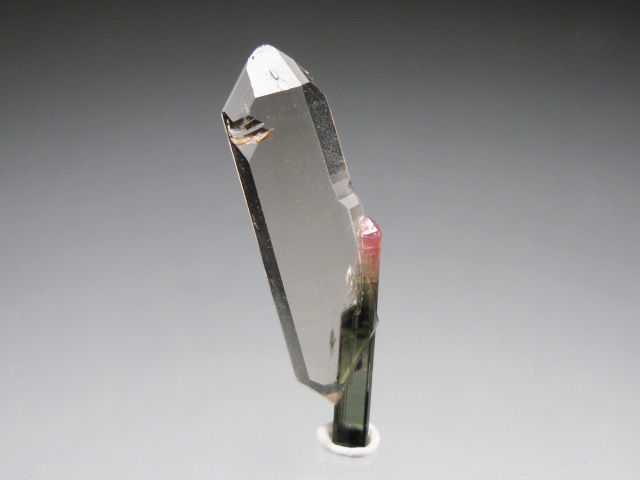 A set of nearly 40 mixed minerals from around the world. 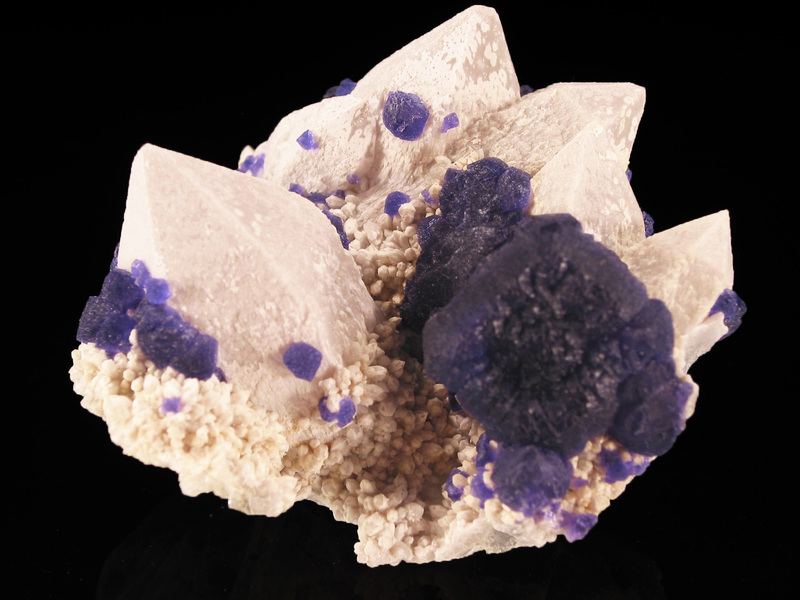 August 14, 2017- Clearance Minerals! 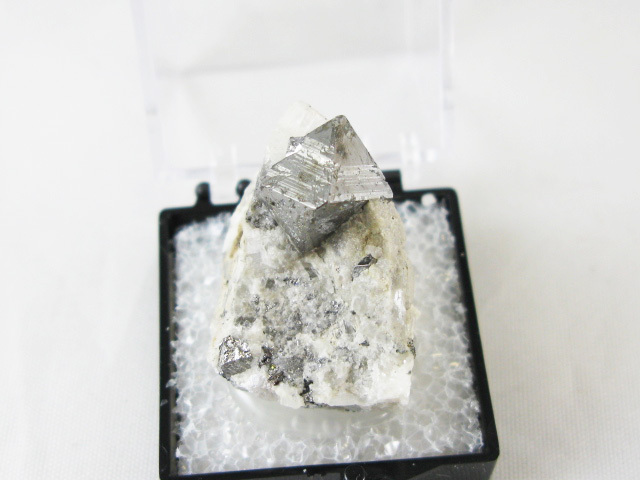 A set of nearly 50 minerals has been added to the clearance pages; new items have CQQ stock numbers. 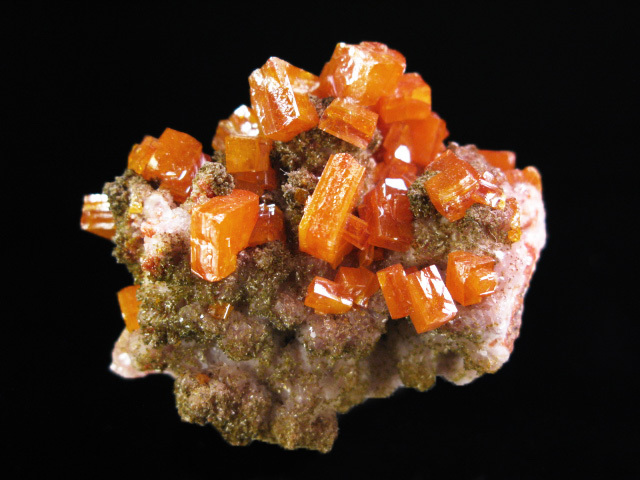 July 18, 2017- New Ojuela Wulfenite (Part II) A second group of wulfenites from the new Ojuela Find-- they're the last ones I have, and are a bit more affordable. July 5, 2017- New Find! 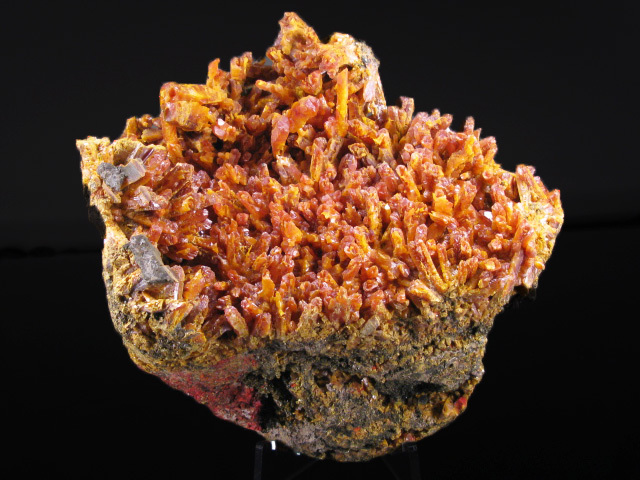 Wulfenite from Ojuela A group of wulfenite specimens from a recent find at Mina Ojuela-- these are quite distinctive from earlier Ojuela wulfenites, many having a 3-layered appearance that I like to say resembles Andes chocolates. May 31, 2017- Peru 2017 A group of nearly 60 specimens from a recent trip to Peru. 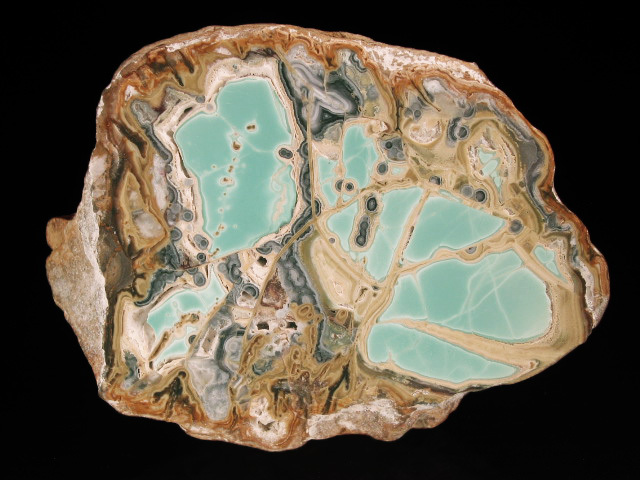 Of particular note are a recent find of axinite that rivals Dal'Negorsk, some exciting new rhodochrosites from Pasto Bueno, and some very nice pyrites. May 2, 2017- Mixed Minerals! 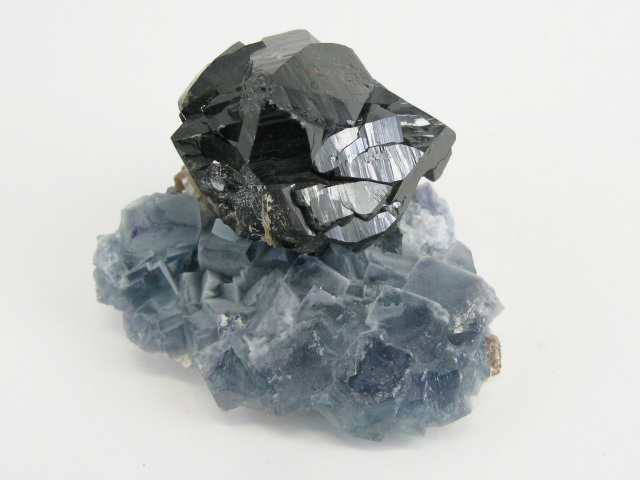 A selection of mixed minerals, some from recent finds and others a bit older. 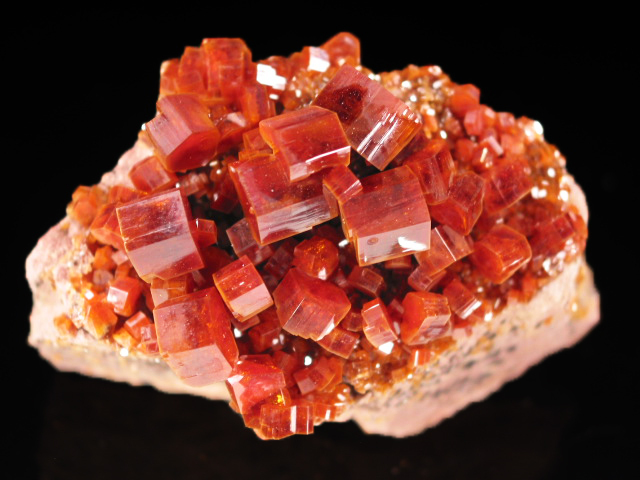 May 2, 2017- Clearance Minerals! A selection of new specimens, all but a few well under $100. Please note, the new specimens are on the first 2 PAGES! March 12, 2017- Thumbnails! A group of over 60 choice thumbnails that I selected for one reason or another, to post in this update. 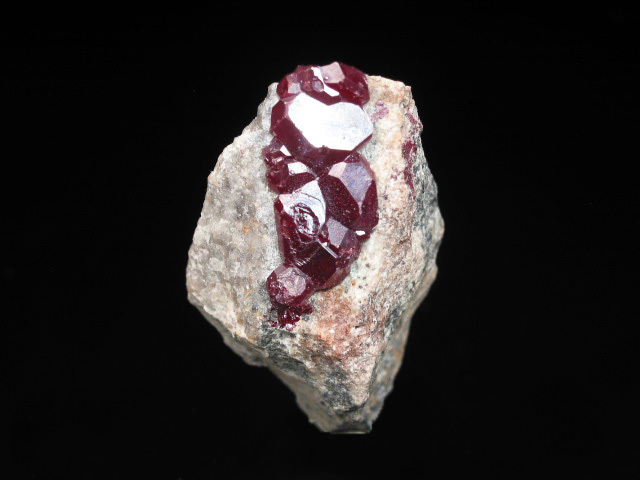 February 24, 2017- Clearance Minerals! A selection of new specimens, all but a few well under $100. Please note, the new specimens are on the first 2 PAGES! 2/24/2017- Tucson 2017! A mix of specimens from the Tucson show, including new finds of alexandrite from Zimbabwe and exceptional brucite from Pakistan! 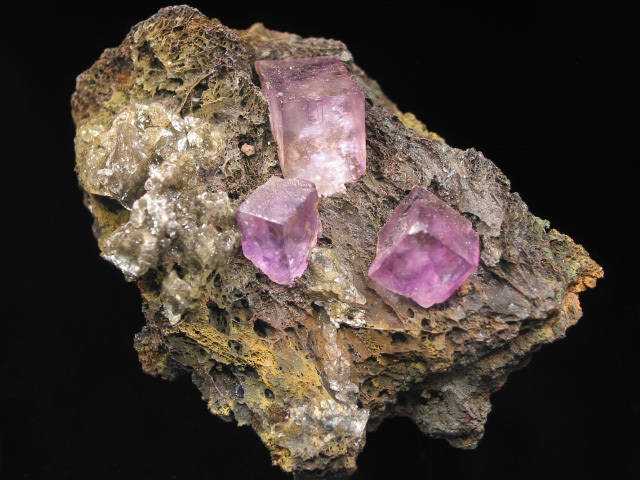 January 6, 2017- Ojuela Fluorite and Milpillas Cuprite A selection of fluorites from Mina Ojuela and Cuprites from Milpillas. 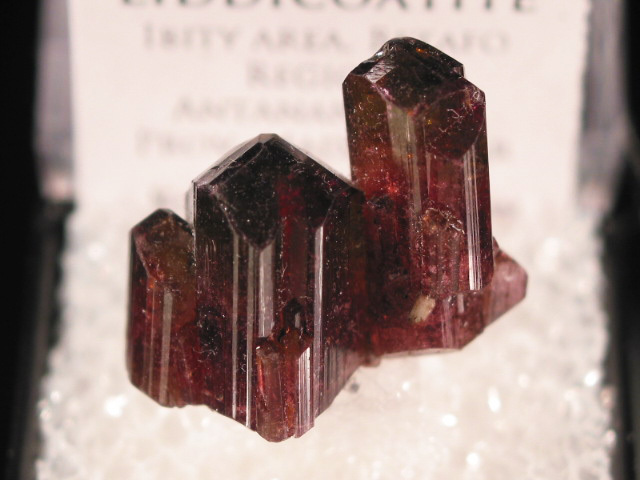 January 6, 2017- Liddicoatite Slices! 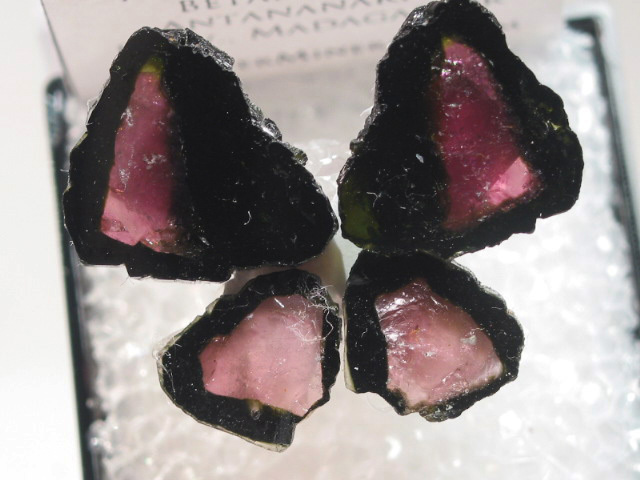 A selection of liddicoatite slices from Anjanabonoina. 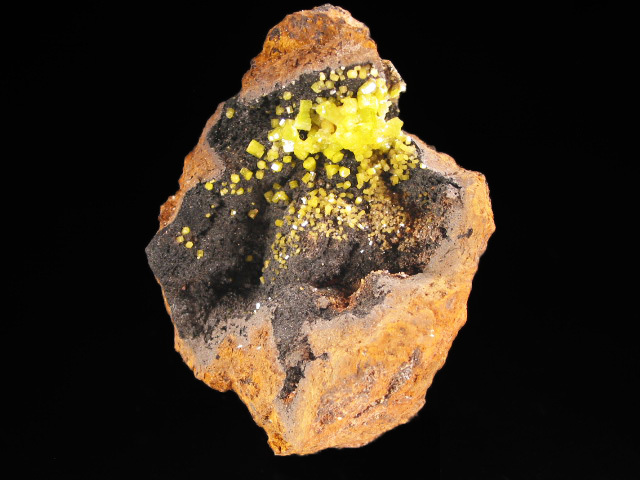 January 6, 2017- Clearance Minerals! A selection of over 60 specimens, all but a few well under $100. Please note, the new specimens are on the first 2 PAGES! September 5, 2016- Inner Mongolia! 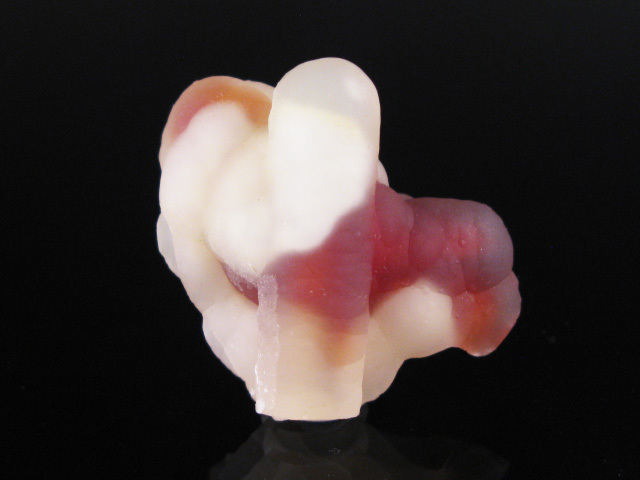 After a short period of dormancy (I'm studying faceted stones for 6 months at the GIA) I am finally posting an update. 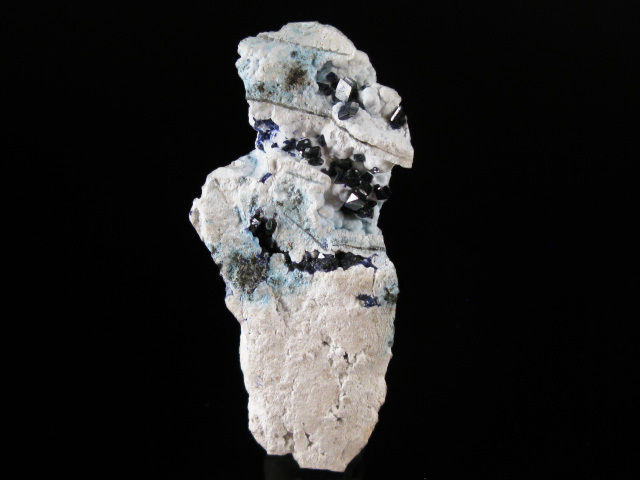 This is a page of assorted minerals from the past few years of finds in Inner Mongolia. These were selected from a very large purchase I made of pieces from a Chinese dealer with an impeccable eye-- from those, I narrowed the update down to approximately 50 pieces. 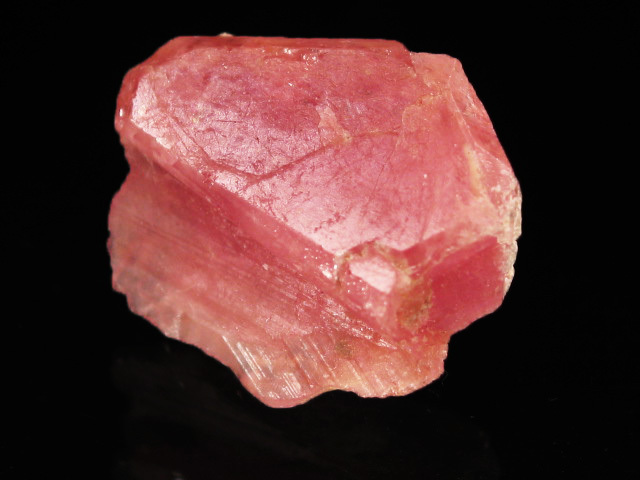 September 5, 2016- Clearance Minerals! A selection of nearly 70 clearance specimens. New pieces have stock numbers beginning with CXX and are on the first 2 pages. 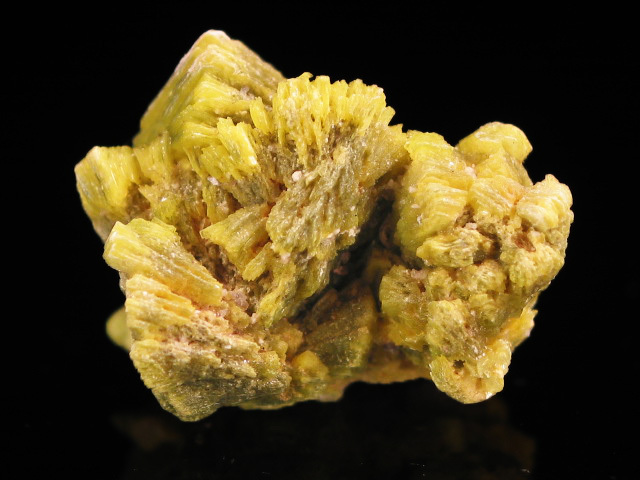 May 3, 2016- Mixed Minerals! 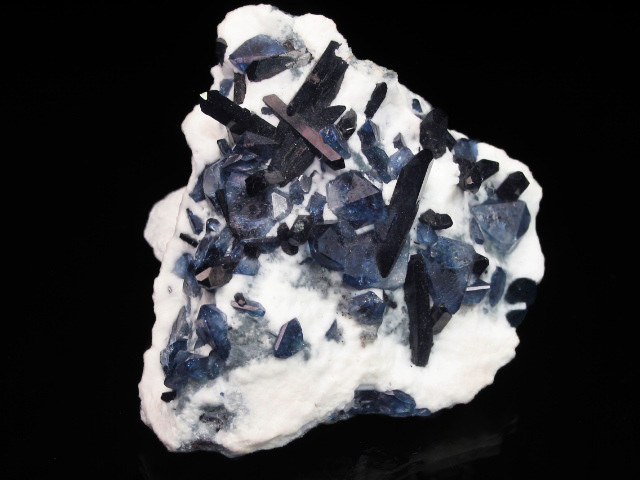 An assortment of mixed minerals from around the world. March 28, 2016- Three New (or recent) Finds! An update containing specimens from three recent finds. 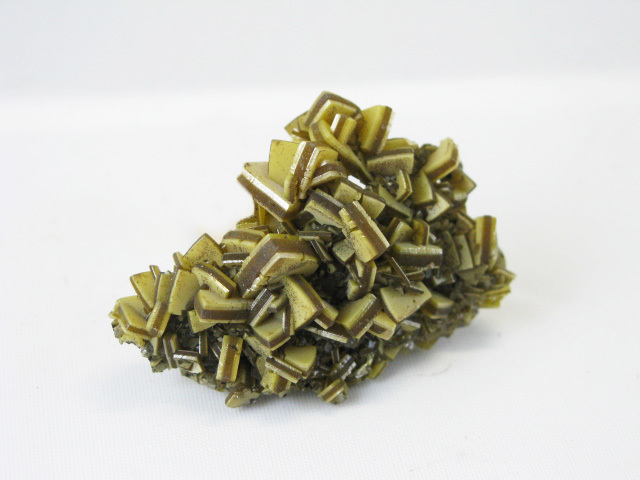 1) An exciting new find of Chinese autunite 2) Specimens from an incredible pocket of pyrite from Huanzala and 3) Scheelite with Stolzite from Peru. 3/4/2016- New Diplay Aids I have added two new products to the display aids section-- 1.5 inch beveled bases and larger versions of the acrylic display easels. If you collect large cabinets, I strongly recommend the easels-- I use them at shows for all my larger specimens, and they seem to work much better with large pieces than any other off-the-shelf display aids I have tried. February 29, 2016- Tucson 2016! 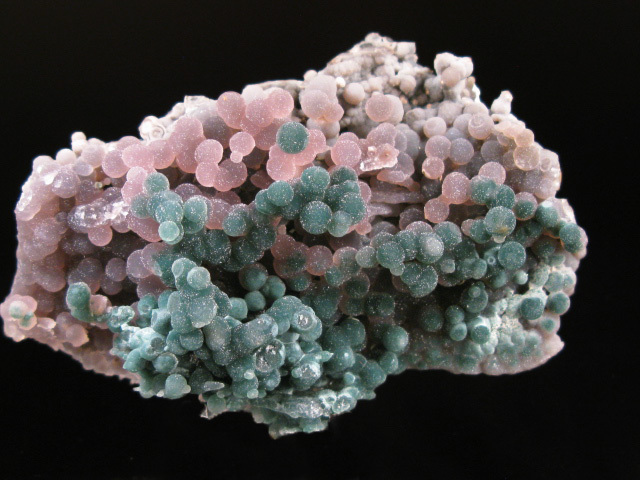 An assortment of minerals from the Tucson Show. January 16, 2016- MADAGASCAR! I haven't updated the site for a while, but I have not been idle! 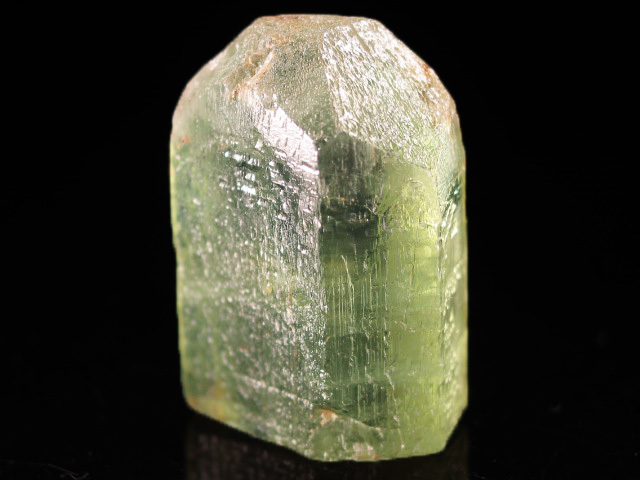 This page contains selections from a recent trip to Madagascar, including a spectacular new find of beryl and some new spray-like tourmalines. I am busy preparing material for the Tucson Show (I will be in room 242 at the Hotel Tucson City Center) but as always, I like to offer my favorite pieces to online visitors first. 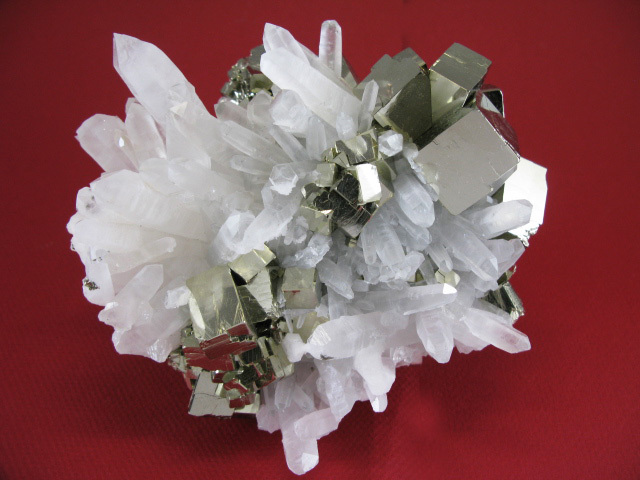 November 20, 2015- Mixed Minerals! 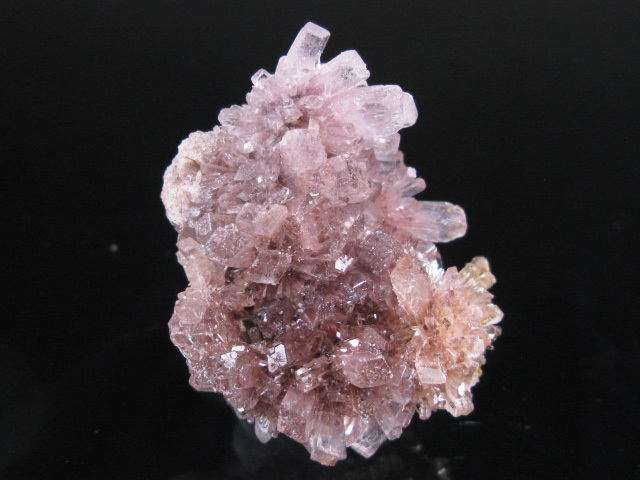 A group of mixed specimens from around the world, from Michigan silvers and Ohio fluorites, to a Gabonese rhodochrosite and a couple more Chinese plumbogummites. 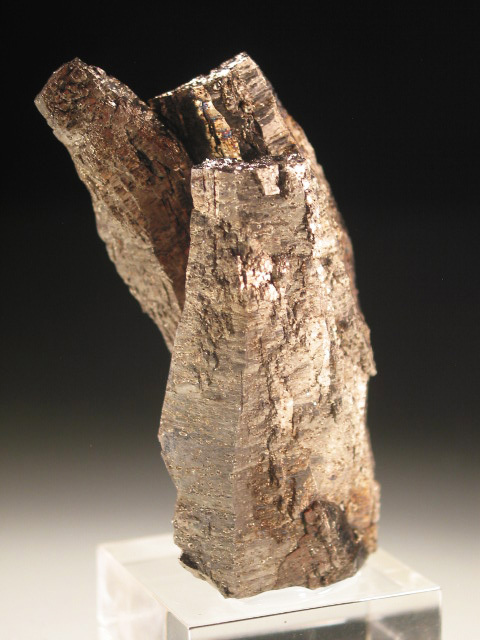 October 21, 2015- Idaho and a little Tsumeb A selection of specimens from Idaho, including some older examples of hard to find material dating to the 1960's. 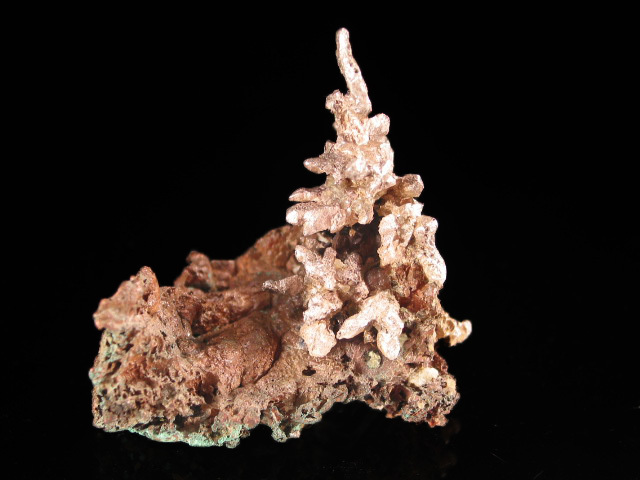 There are also several Tsumeb specimens in this update. September 6, 2015- PERU! A selection of nearly 50 specimens from a recent trip to Peru. 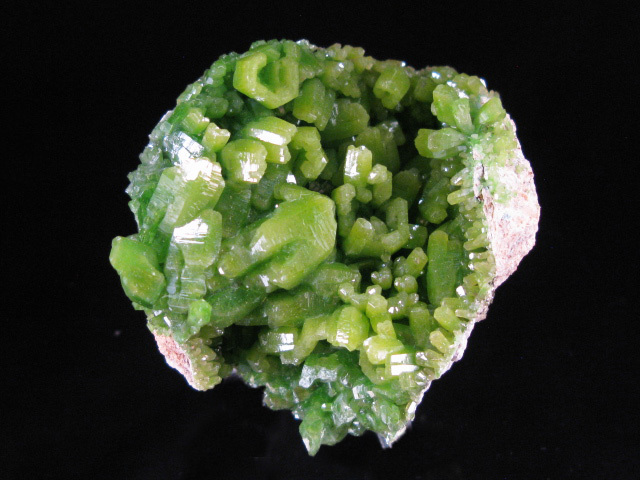 August 8, 2015- Mixed Minerals! A very mixed group of specimens with some very unusual items (even by my standards) ranging from 120+ year old Michigan specimens and Mexican classics, to phosphates and carbonates from Curacao, and even a Chinese autunite. 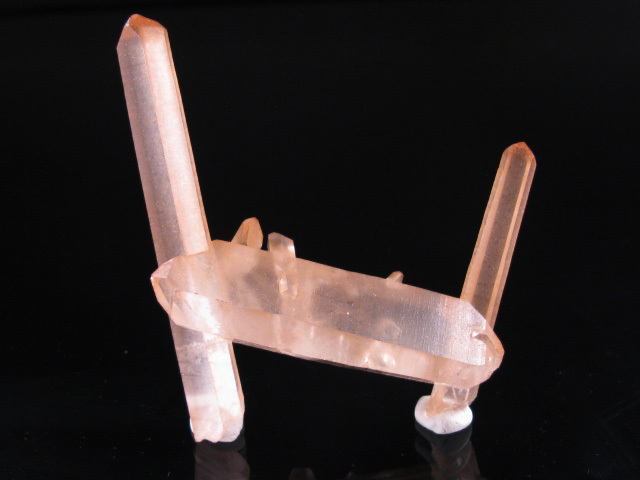 July 21, 2015- Plumbogummite ps. 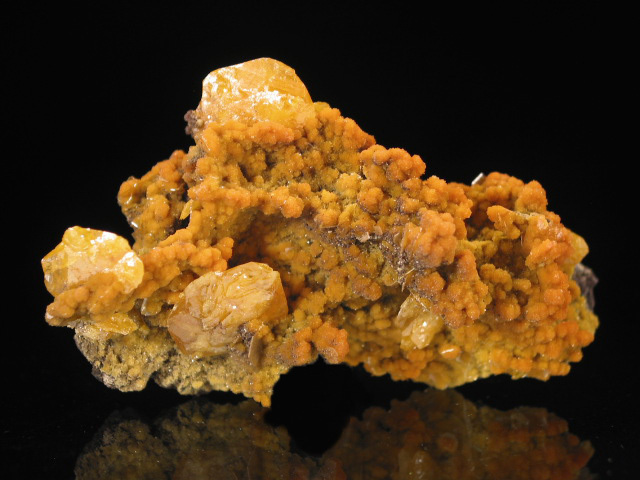 Pyromorphite (Part II) A second page of plumbogummite after pyromorphite. 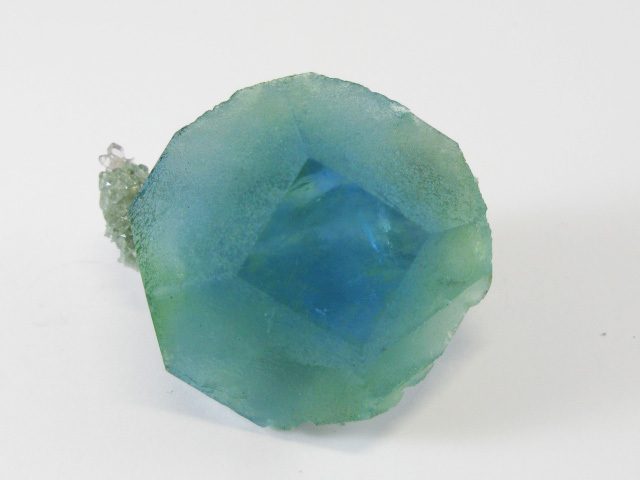 I was able to obtain a number of additional specimens, many of which display the top, bright aqua blue color. There are a few other habits represented as well. 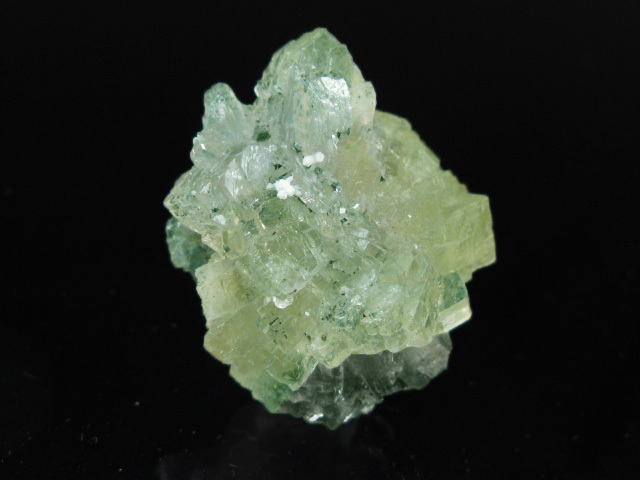 June 23, 2015- Mixed Minerals! 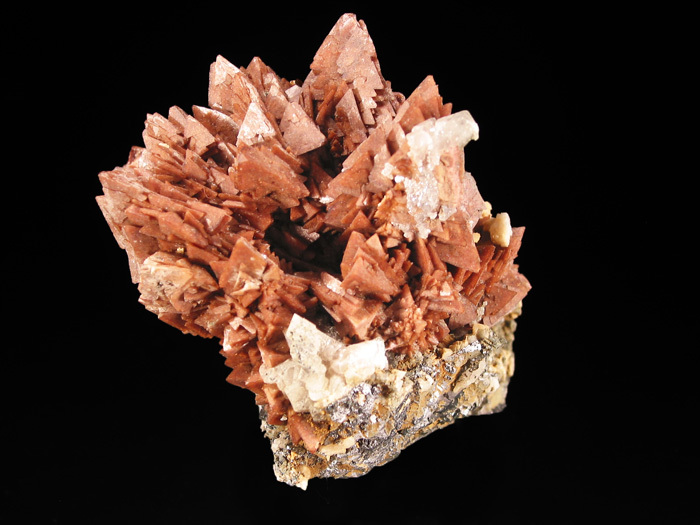 A selection of mixed specimens from around the world, ranging from Midwestern American minerals to Burmese and Peruvian rarities. May 25, 2015- Thumbnails! A selection of 48 thumbnail specimens from around the world, from common species to rare ones, in all price ranges. 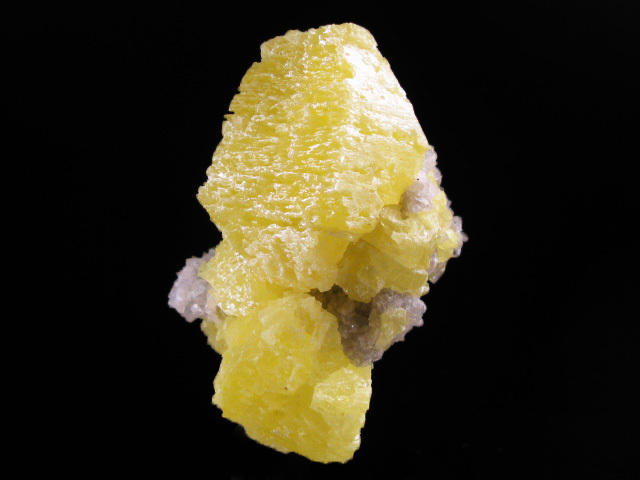 May 10, 2015- Plumbogummite ps. 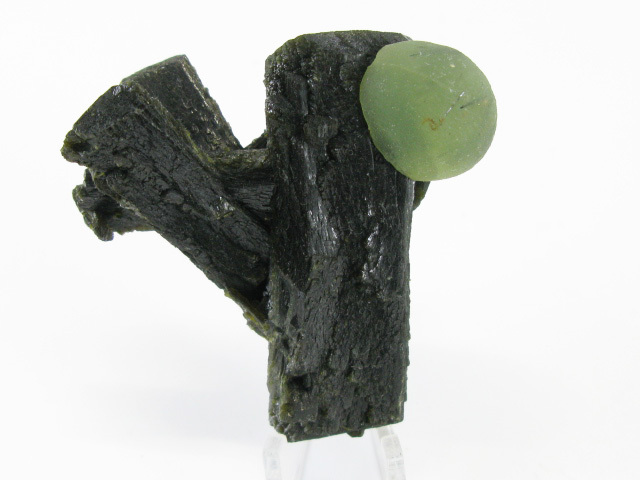 Pyromorphite! 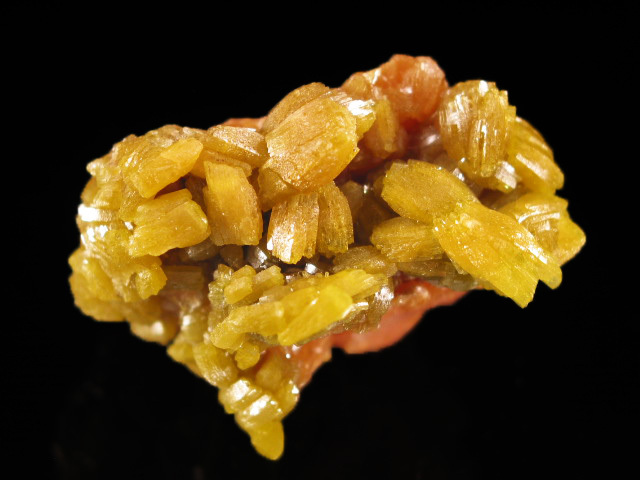 A selection of specimens from a recent find of plumbogummite after pyromorphite, encompassing pretty much all the habits from the occurrence. In my opinion, this is one of the major finds of the last year, and certainly the most exciting thing to come from China for some time. 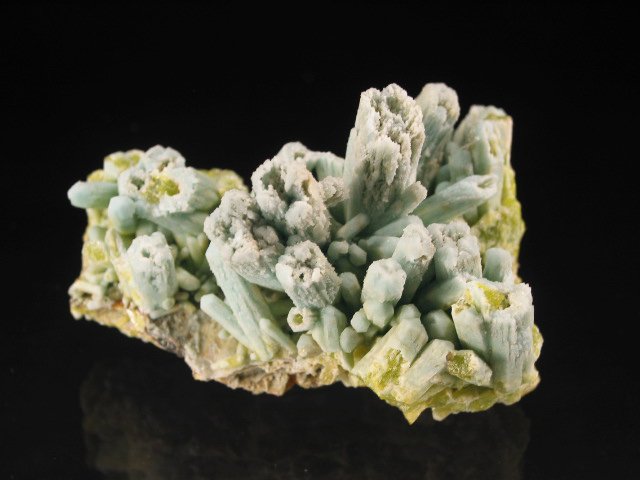 March 18, 2015- Post Tucson Update #2 A second update of minerals (mostly) from Tucson, this one containing a number of interesting new finds, including Chinese chalcophyllite and analcime, pseudomorphs of topaz after augelite from Peru, a very rare dingdaohengite, and a number of other interesting pieces. March 6, 2015- Post Tucson Update #1 This is the first of my Tucson updates. 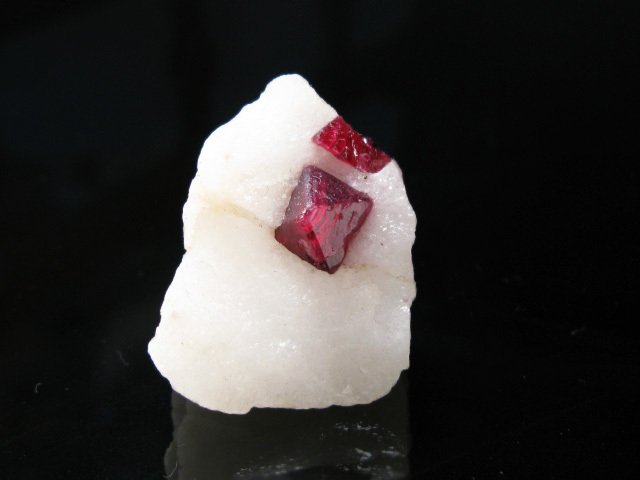 This piece is dedicated mainly to Chinese minerals, including a number of Mt. Xuebaoding pieces, though there are a few Pakistani and other items mixed in as well. I have not included any Inner Mongolian pieces in this update-- the bulk of the material comes from finds made in past years. 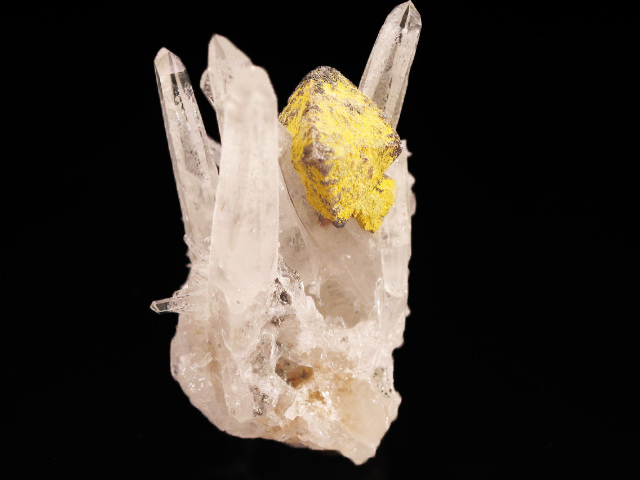 January 13, 2015- Midwest, Burma, and Mixed A page containing a mix of pieces from the American Midwest, including some old Tri-State material and quarry calcites, as well as a selection of minerals from Mogok. There are a few other random things thrown in as well. December 28, 2014- MASAGASCAR! 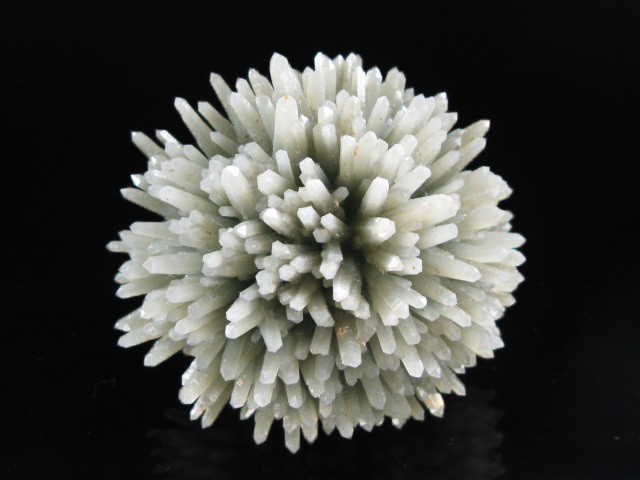 The website has been dormant for several weeks, but I've been busy searching for new specimens. 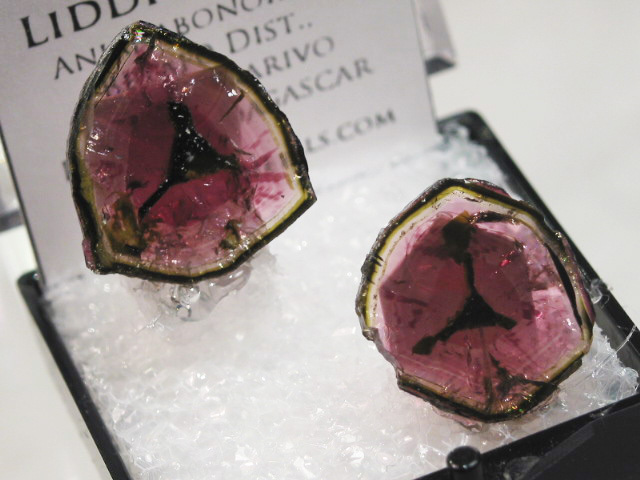 I recently returned from Madagascar with a number of pieces, this update contains nearly 70 selections, ranging from new pockets of fine tourmalines and topazes, to a few somewhat ugly mineralogical oddities. 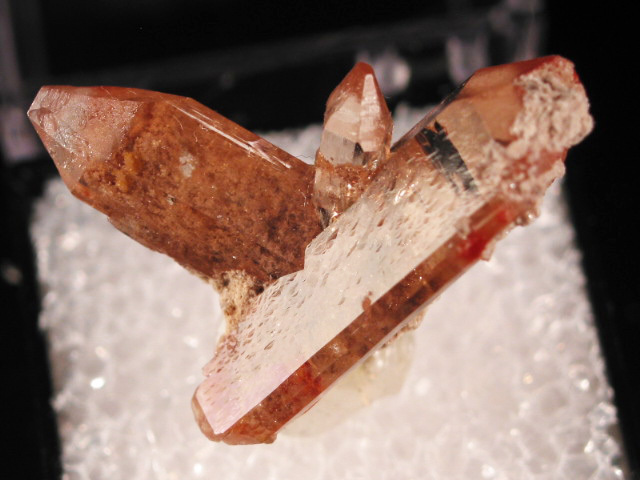 October 29, 2014- Mixed Minerals! 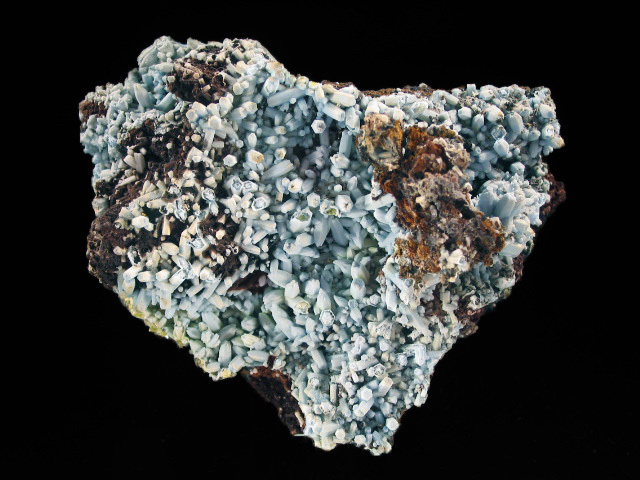 A selection of rare and unusal minerals from around the world, featuring a new find of hutchinsonite (a rare thallium mineral) and others. 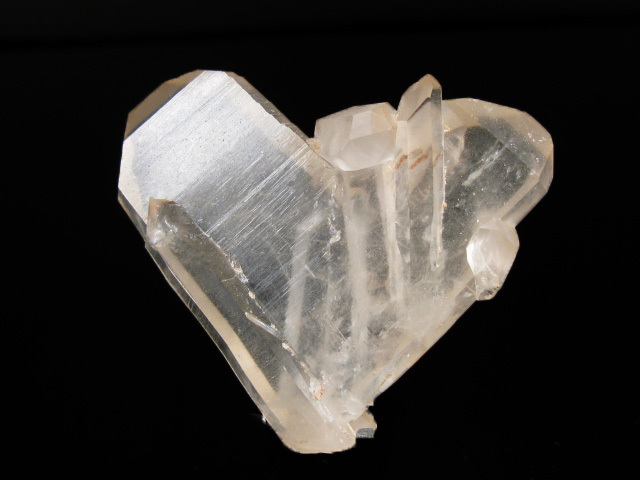 October 29, 2014- Clearance Minerals! Over 80 specimens, all but a couple priced under $100, and most priced under $60. 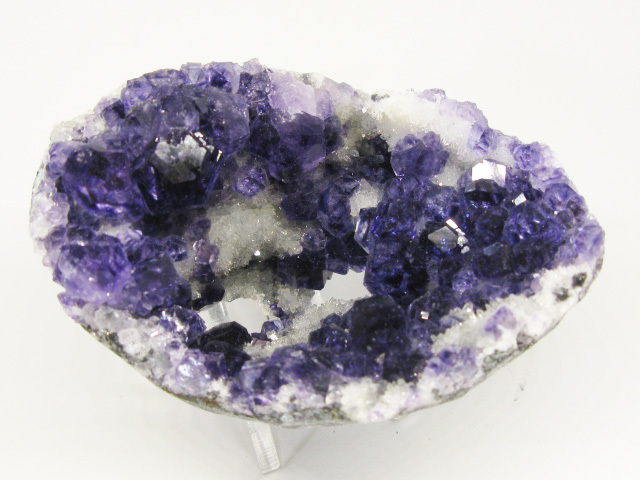 New minerals are on the first 2 pages (stock numbers beginning with CCD)! 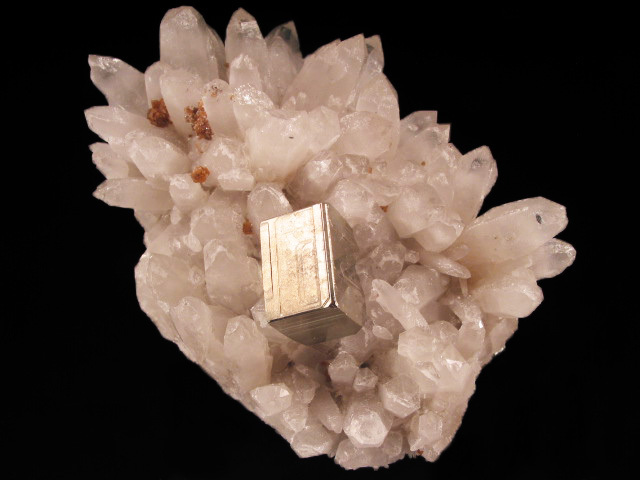 September 29, 2014- Denver Minerals! 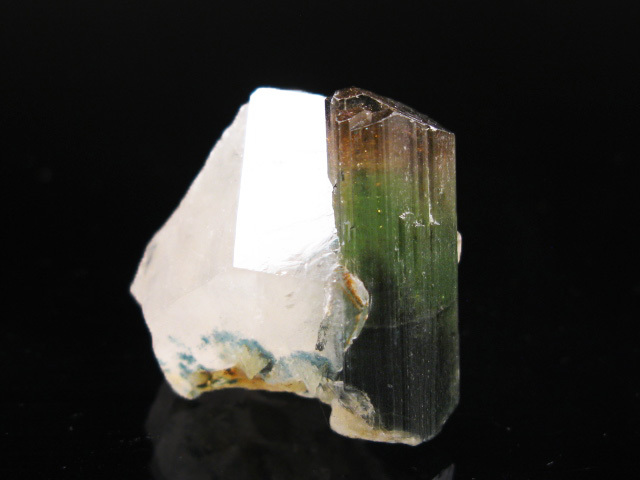 The first update featuring of mixed minerals from the Denver show. 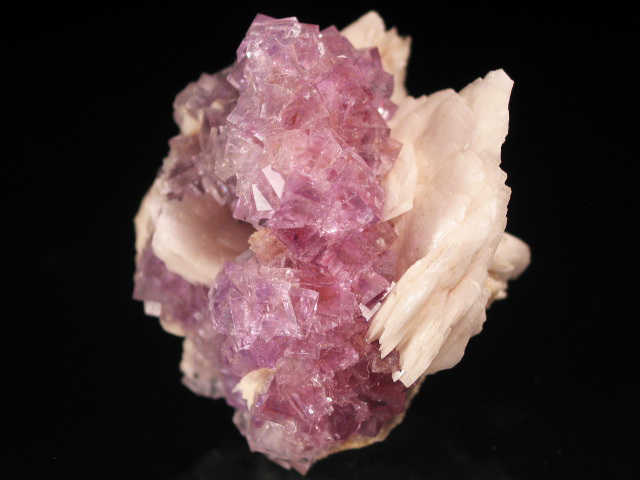 September 29, 2014- Clearance Minerals! Over 70 specimens, all but a couple priced under $100, and most priced under $60. 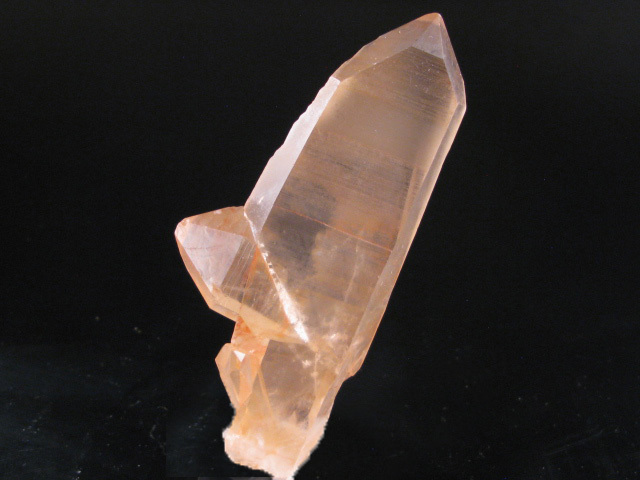 New minerals are on the first 2 pages! September 16, 2014- NEW WEBSITE! 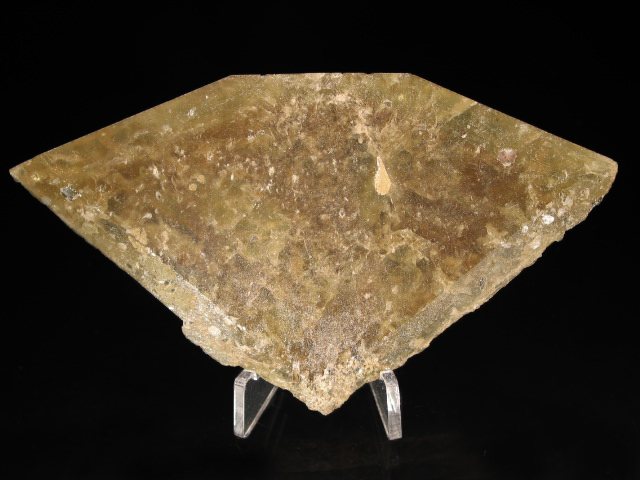 After a long hiatus, Khyber Minerals is back online with a new website that retains the same old feel, but that is way more functional. All items are now searchable (by chemical class, color, species, size, etc) and in a database, meaning that pages are up to date. If you haven't already, feel free to play around with the new features- there are many interesting items that were once buried on the website though which are now discoverable! I've been continuously buying even while the updates languished, so expect new updates at greater frequency in the coming weeks! September 16, 2014- Inner Mongolia! After a long hiatus due to ironing out glitches with the new website, here is a page of new and interesting specimens from Inner Mongolia! 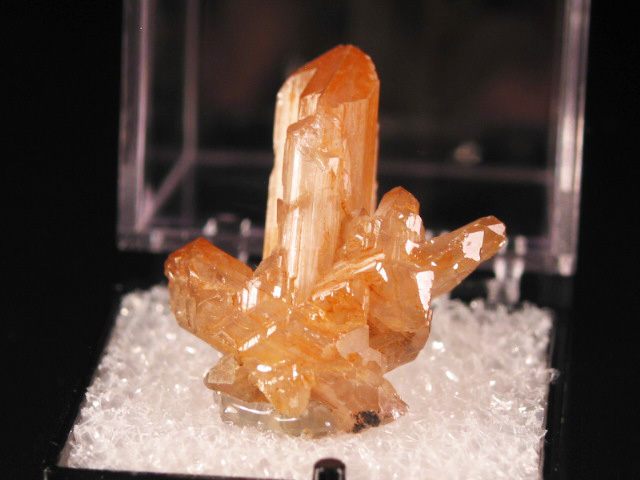 September 16, 2014- Clearance Minerals! A selection of nearly 90 specimens, all but a few under $100, and most under $60. Please note, the new specimen are on the first 2 PAGES! June 8, 2014- Mixed Specimens A selection of mixed specimens from around the world, including a number or rarities and oddities. June 1, 2014- Mixed Specimens A selection of mixed specimens. May 14, 2014- PERU! 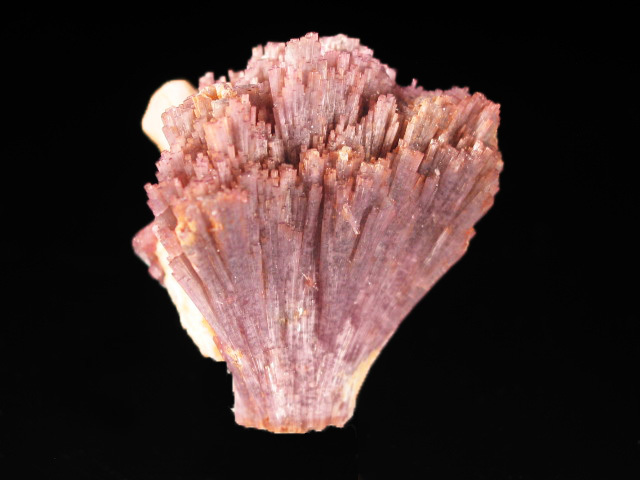 A selection of minerals from a recent trip to Peru, including new clinoatacamites, amethysts, and more! 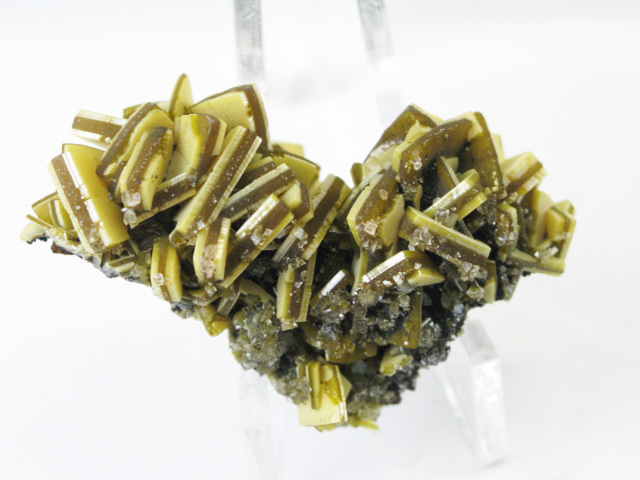 February 27, 2014- French Autunite A collection of French Autunite specimens from the collection of Jean Chervet, assembled pre-1962. To view this site best, the screen resolution should be set to 1024x 768 pixels. If the resolution is smaller, pictures might appear stacked on top of each other or you might have to scroll left and right.